Third Squad detectives report the arrest of a Queens Village man for endangering the welfare of an elderly man which occurred in Thomaston on Tuesday, 06/09/15 at 6:00 A.M.
Thomaston, NY - June 10, 2015 - Third Squad detectives report the arrest of a Queens Village man for endangering the welfare of an elderly man which occurred in Thomaston on Tuesday, 06/09/15 at 6:00 A.M. According to detectives, Randolph Bien-Aime, 25, while employed as a health aide for a mentally incompetent male, 59, struck the victim on the face causing bruising, swelling and a black eye. The defendant struck the victim because he would not comply with directions. The victim was transported to a local hospital where he was treated and released. Bien-Aime is being charged with Endangering Welfare Elderly, Endangering Welfare Incompetent Person and will be arraigned on Thursday, 06/11/15 in First District Court, Hempstead. 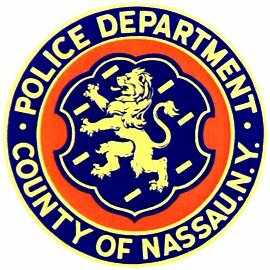 Subject: LongIsland.com - Your Name sent you Article details of "Health Aide Arrested for Endangering the Welfare of An Elderly Man"